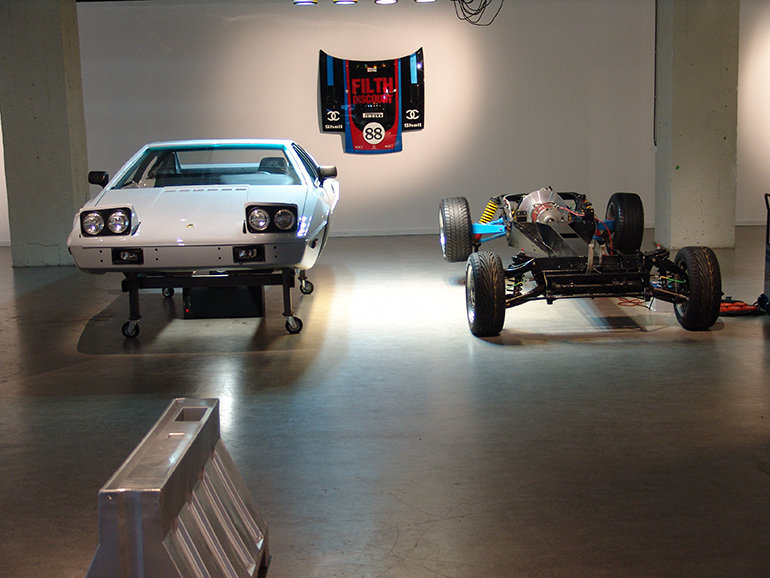 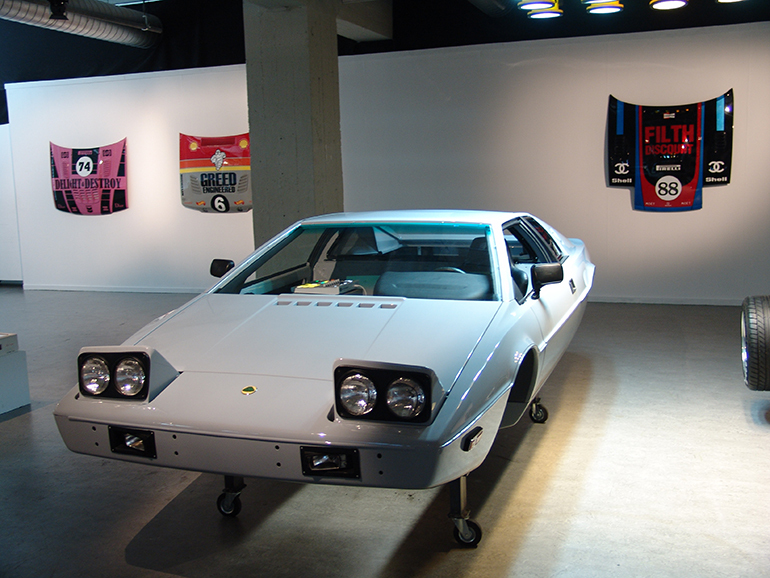 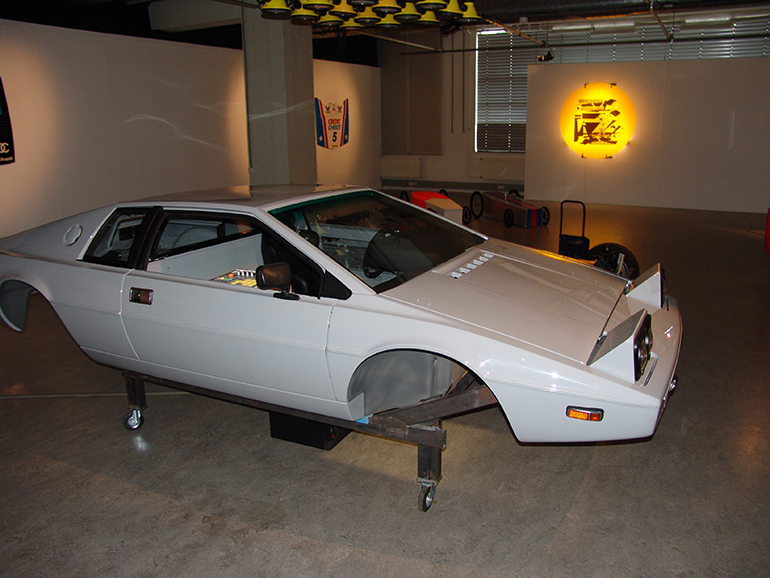 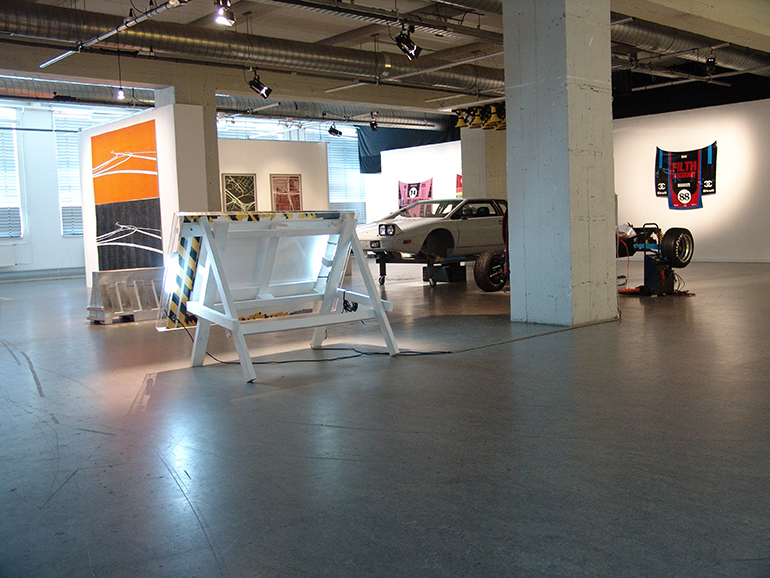 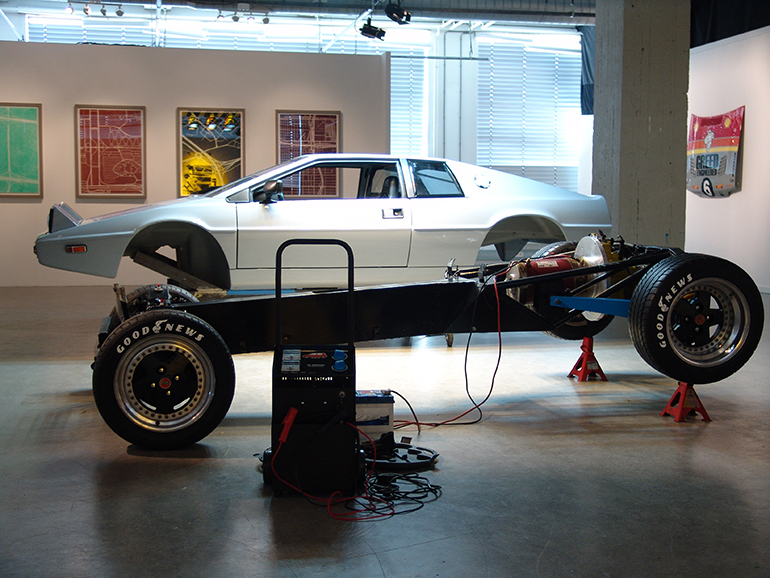 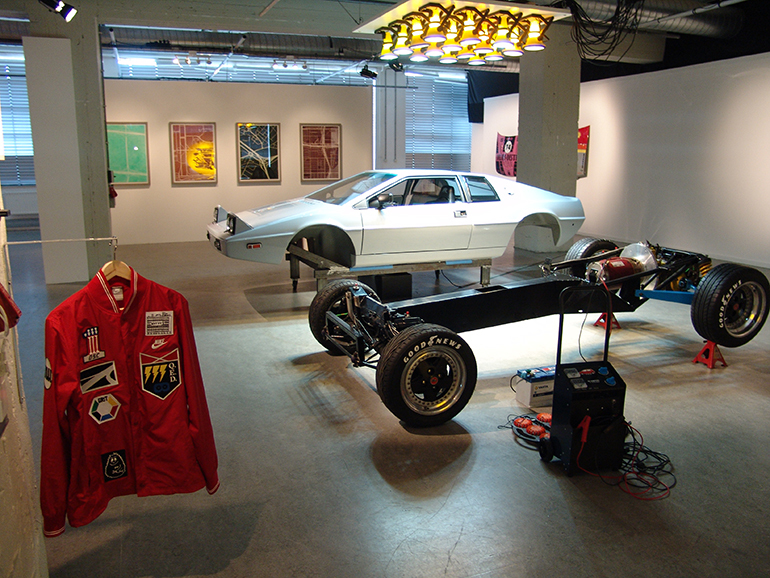 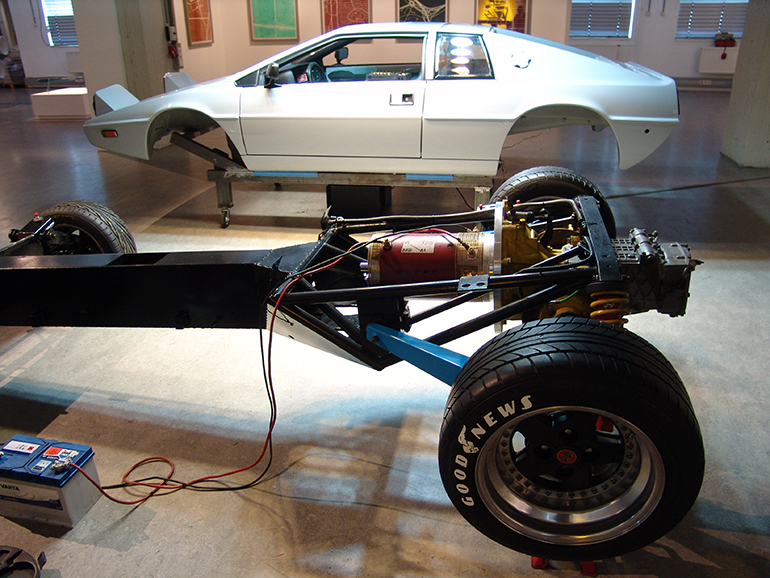 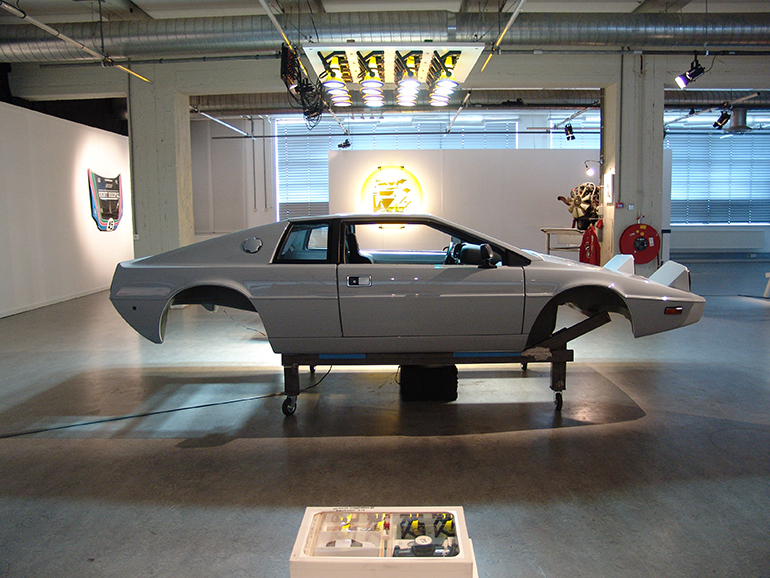 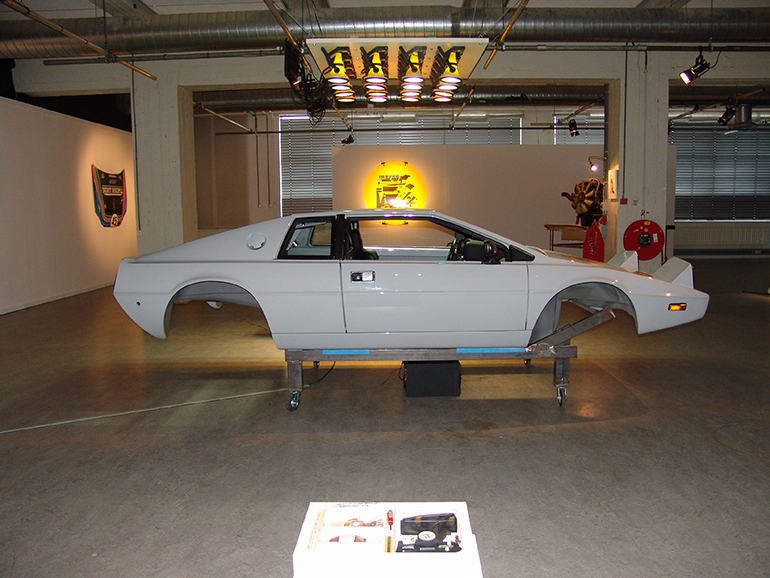 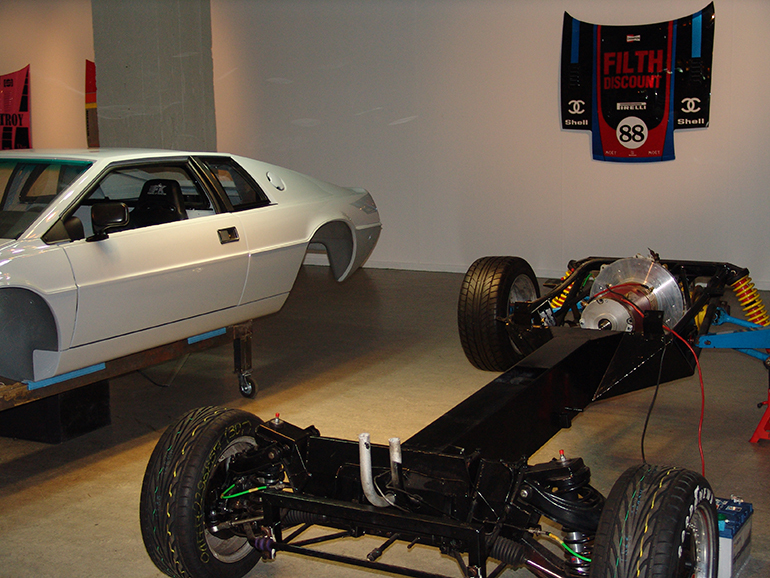 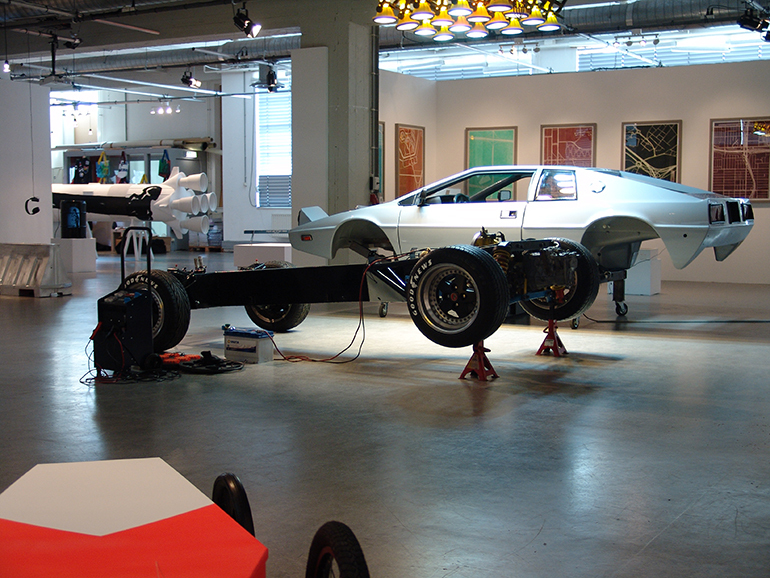 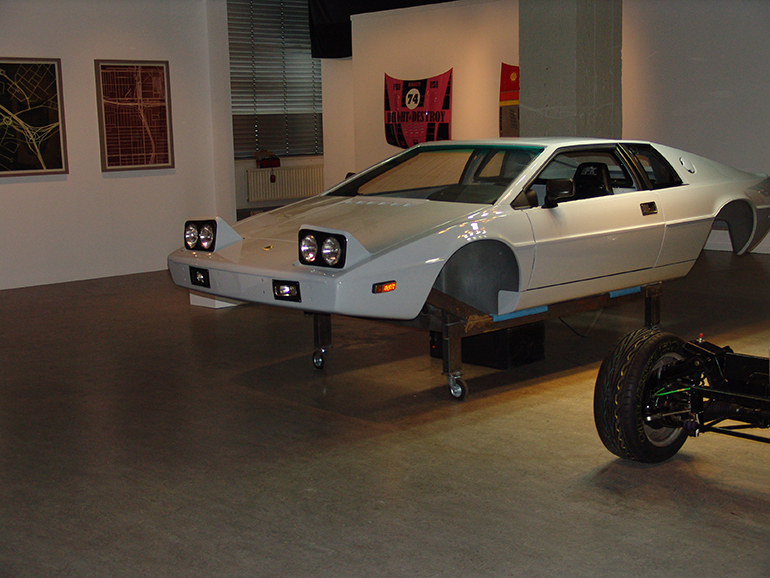 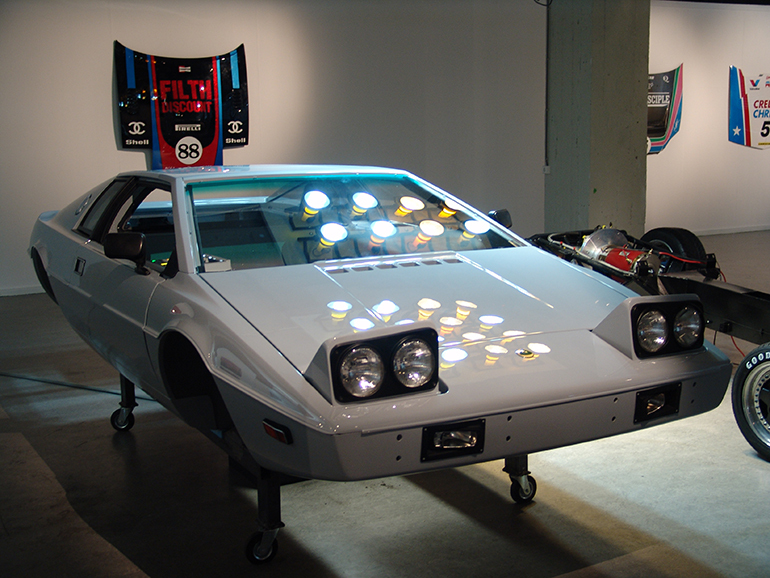 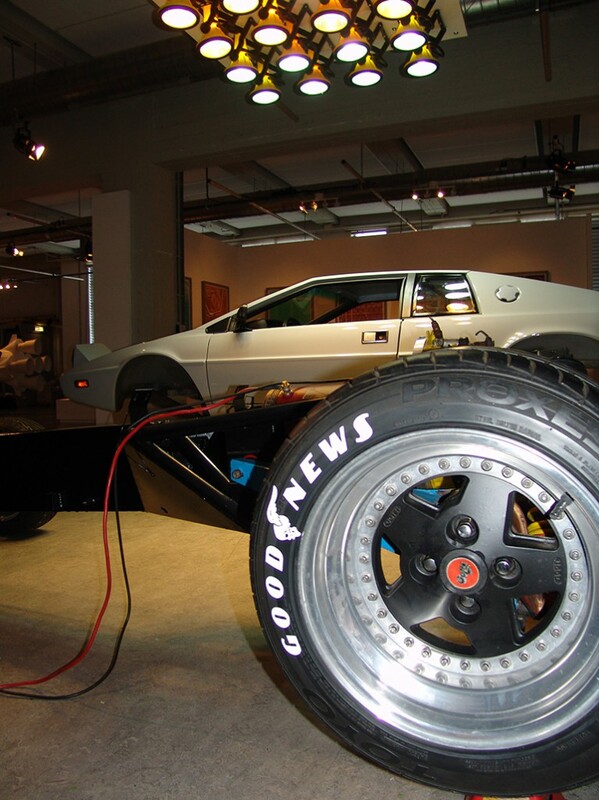 After rebuilding the body and chassis for a good look, the E-lotus was transported to MU Eindhoven and sits in the exhibition ‘Garage Grit’ for a while. 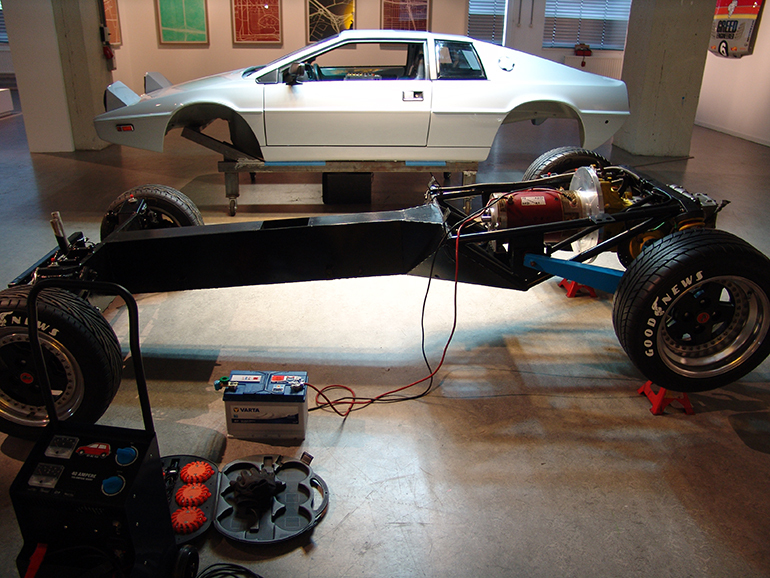 The motor is hooked up to a regular car battery for demonstration. 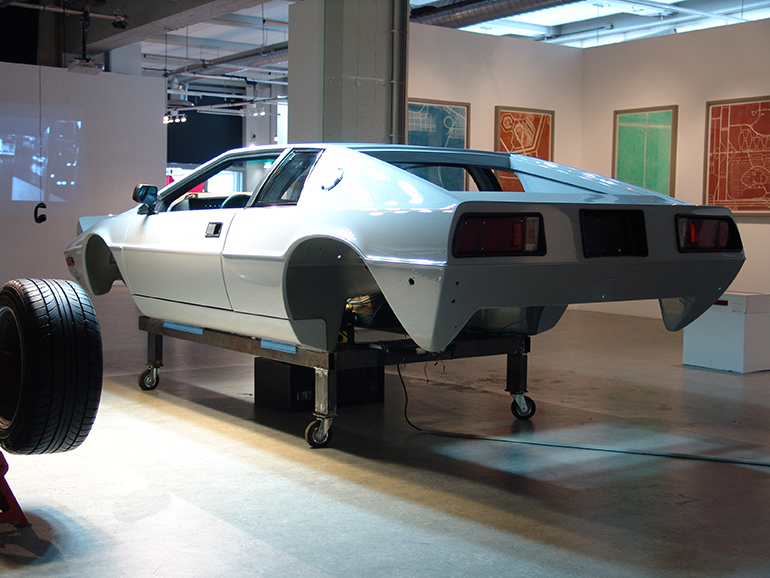 yes it runs! 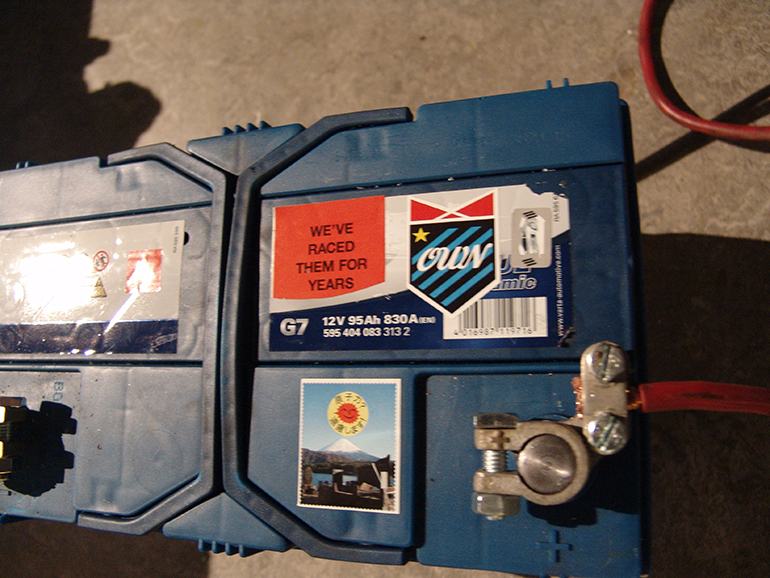 hurray.